In stock. Not available to order. 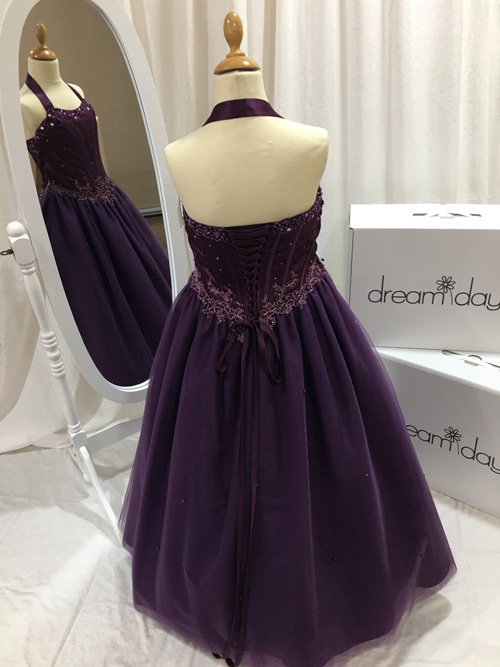 This gorgeous prom dress will make you stand out from all of your friends. It has a lace back corset bodice with lace motif appliques that adorn the body and waistline. With a full tulle skirt you can be the belle of the ball.